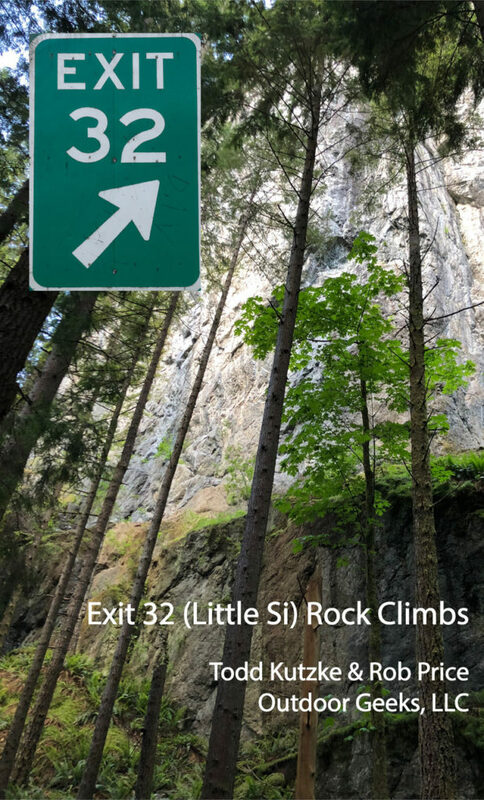 Just outside Seattle at Exit 32 along Interstate 90 lies Little Si, the little sibling to Mt. Si next door. 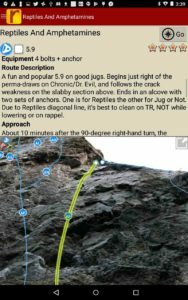 The guidebook features World Wall 1, the crown jewel crag of Washington sport climbing with a storied history of climbing at the highest grades. First pioneered by local climber Brian Burdo in the early 90s, the wall has seen the addition of new testpieces every few years that have pushed well into the 5.14's at World Wall 1 & 2. World Wall 1's unique geography, climb density and popularity make photographing this wall particularly challenging. 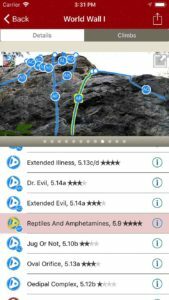 Combining new high-resolution wide angle photographs and rakkup's smart topo feature, this Little Si guidebook makes it incredibly easy for anyone to find the climb they're looking for. 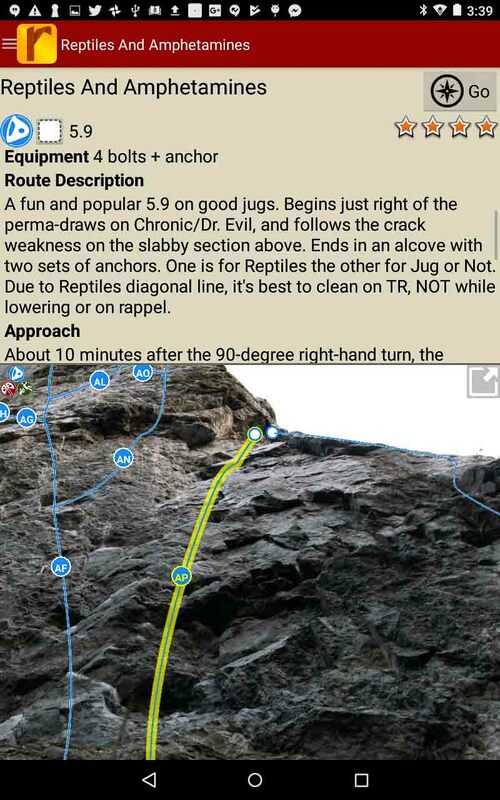 Don't climb 5.12? 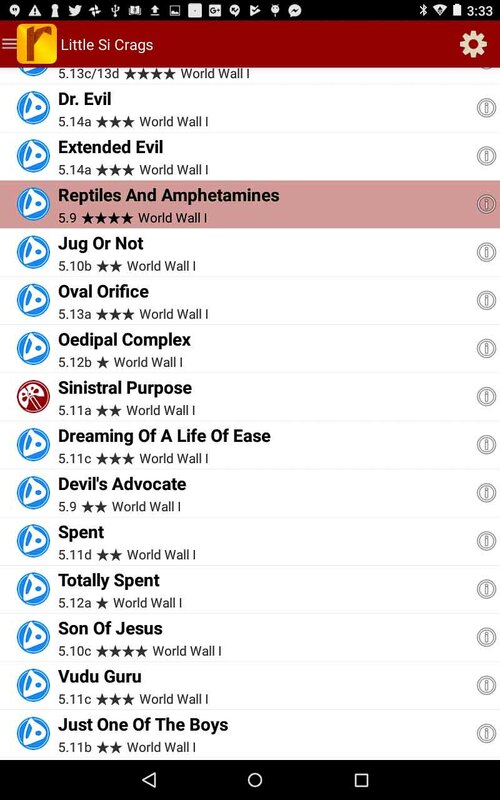 That's ok, there's something here for everyone. World Wall 1 and the smaller crags nearby have many classic moderate lines in an aesthetic setting with great conditions all summer long. 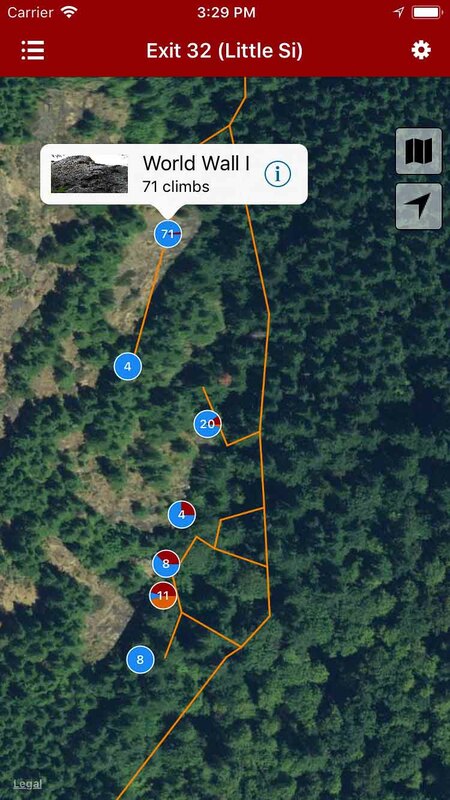 Explore Exit 32 (Little Si) rock climbing via our interactive trail map. 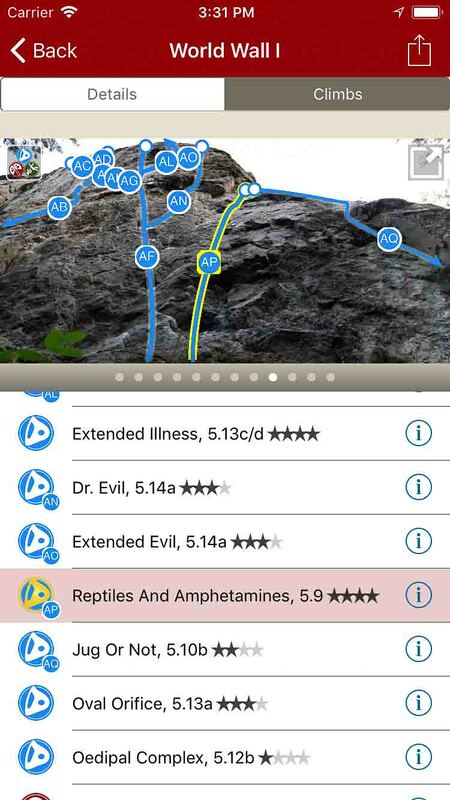 rakkup guides you car to crag then shows you a picture when you arrive. 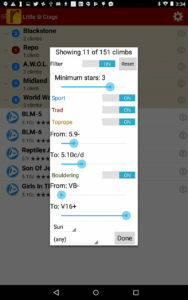 Tap on a climb name, see where it’s located on the image. Tap on a climb bubble in the image, discover what climb it is. Exit 32 (Little Si) rock climbs in a searchable list. 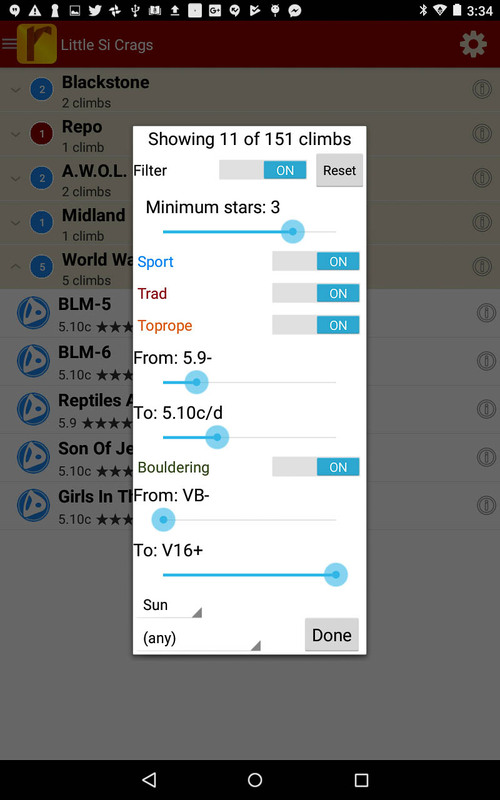 Filter the route list to only the grades and quality you want to see. 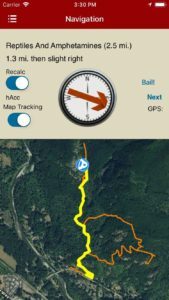 Detailed route descriptions and pictures with topo lines for every route.